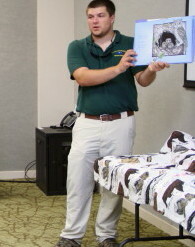 Attendees of each 45-minute reading-and-crafts session learn about a refuge animal and make a take-home craft related to it. Meet in the Visitor & Education Center classroom. 10-10:45 a.m.